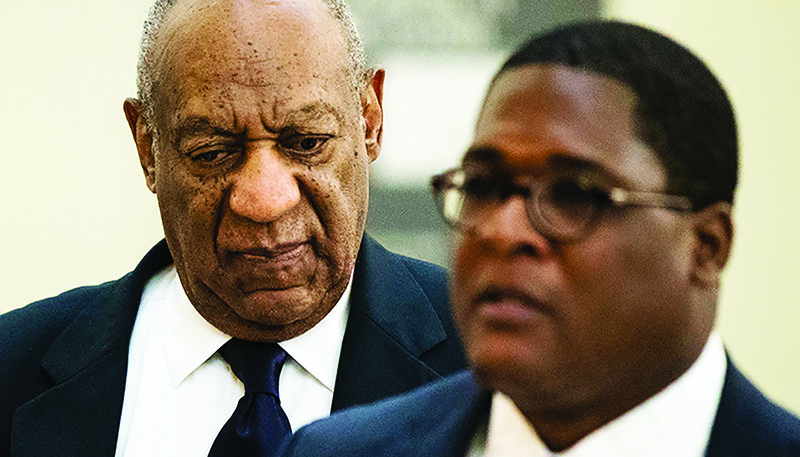 Bill Cosby will face five of his accusers during the second criminal trial involving sexual assault allegations from former Temple University employee Andrea Constand. In last year’s trial Judge Steven O’Neill ruled against a prosecution motion to allow 13 accusers to testify against Cosby April 2. EDITOR’S NOTE: Judge issued and order changing the dates for jury selection and pretrial hearings. STORY UPDATED MARCH 27, 2018 11:12 a.m. The women have not been identified, but at least one accuser that prosecutors asked for has accusations that date back to 1965. Cosby is accused of drugging and sexually assaulted Andrea Constand, a former Temple University employee, at his home in 2004. Pretrial hearings for the trial will begin March 29 and March 30. Jury selection is scheduled to begin April 2.